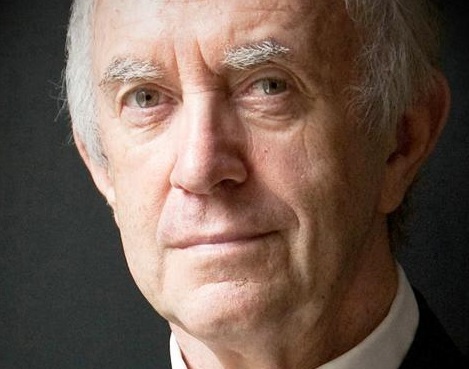 Multi award-winning actor Jonathan Pryce will play Shylock in Jonathan Munby’s forthcoming production of The Merchant of Venice, opening the Globe’s 2015 summer season on April 23. The versatile Mr Pryce is an internationally-acclaimed stage and screen actor whose extensive theatre work includes Comedians in London and on Broadway, Hamlet, and Miss Saigon. Most recently, Pryce gave seminal performances in Harold Pinter’s The Caretaker in London and New York, and as the title role in the Almeida’s King Lear. His film credits include Something Wicked This Way Comes, Brazil, Glengarry Glen Ross, Carrington, Evita and Tomorrow Never Dies. He was nominated for an Emmy Award for his performance in Cranford: Return to Cranford, and he will shortly be appearing as Cardinal Wolsey in the landmark television adaptation of Hilary Mantel’s Wolf Hall. In some of his most highly-charged scenes, Shakespeare dramatizes the competing claims of tolerance and intolerance, religious law and civil society, justice and mercy; while in the character of Shylock he created one of the most memorable outsiders in all theatre. Portia, a wealthy heiress of Belmont, sets her suitors a challenge. The winner will win her hand in marriage; the losers will lose her hand and more. In Venice, the epicentre of consumption, speculation and debt, Bassanio borrows money from his friend Antonio to finance his attempt. Antonio, in turn, takes out a loan from the moneylender Shylock. The loan will be repaid when Antonio’s ships return to the city. But if they should fail, and the money cannot be repaid, Antonio shall give to Shylock a pound of his own flesh. And they do fail. And Shylock will have his ‘bond’. Casting news also announced today: Oliver Award-winning actress Michelle Terry will star as Rosalind in Blanche McIntyre’s As You Like It, opening 15 May. Michelle Terry returns to the Globe following her critically-acclaimed performance as Titania in Dominic Dromgoole’s 2013 production of A Midsummer Night’s Dream, and her 2009 turn in Love’s Labour’s Lost.